Let loose your striking spirit in the newest C-HR by Toyota and become the apple of everyone's eye on Westbury streets. Maintaining control for stimulating rides is simple and easy with nimble maneuvering and a cockpit focused on drivers. Intrigued to know more? 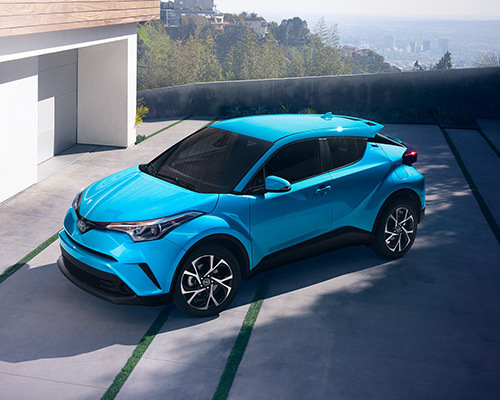 We know you are going to head on over to Westbury Toyota right away to buy or lease this class leader that colors outside the lines after you see all our team can highlight regarding the C-HR. Displaying finely-cut lines, the unconventional Toyota C-HR combines diamond-themed patterns with stylish metro commuting to earn interest from all angles. Additionally, a cantilevered back spoiler positioned over the raked rear windshield grants this metro easy rider’s lower-frame silhouette an additional dash of attitude. If driving a crossover that recognizes turning heads is your wish, then Toyota C-HR is undoubtedly the crossover for you. 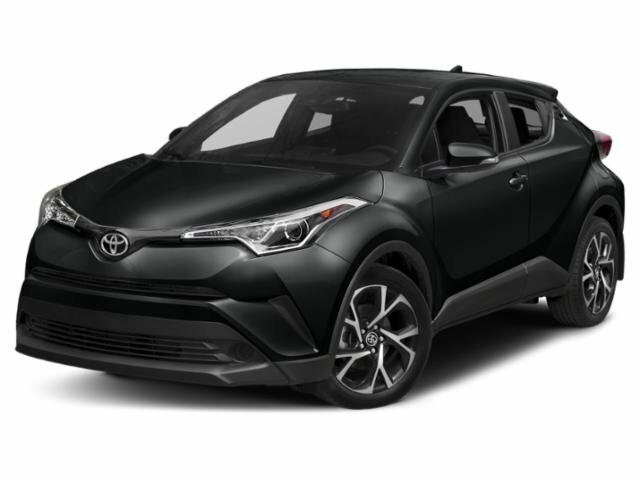 You have the potential to tailor the color of your purchased or leased C-HR and make it truly stand out to individuals in the Westbury NY area. Make the top of the vehicle and exterior mirrors white or black by going with the R-Code paint process. While it may appear to be a simple upgrade, it produces a stunning change when it comes to attraction. From traversing regular streets to winding paths, C-HR is a fantastic drive because of its performance heritage. Offering 144 horsepower (hp), a potent 2.0-liter (L) inline motor built around four cylinders teams up with the latest Continuously Variable Transmission with intelligence and Shift Mode (CVTi-S) for extraordinary performance and effectiveness. Sequential Shiftmatic Mode gives you the power to move from among seven gears whenever you want complete control. Elevate the enjoyment of traveling to a new level with performance-inspired Sport Mode engaged for swifter acceleration. Crafted around including pizzazz and convenience to your travels, C-HR LE starts off the C-HR family with numerous standard additions you will definitely love. From an auto-dimming rearview mirror and projector-beam halogen headlights, which feature exclusively bunched LED Daytime Running Lights (DRL), to remote keyless entry and a leather-outfitted shift lever, every one of these items helps heighten your moments spent on the highway. 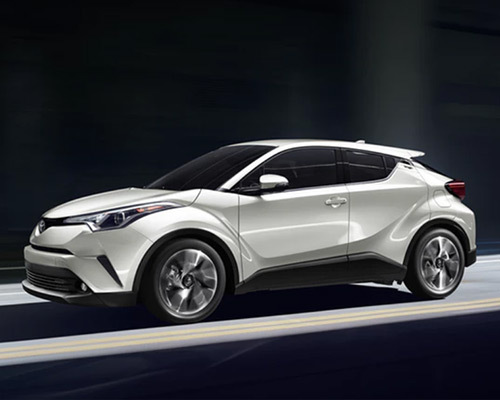 If you are the kind of individual who likes to draw in stares, the C-HR XLE trim should fall at the top of your list. When reviewing this variant’s vortex-designed 18-inch (in.) sport alloy wheels, black front lower grille insert, door lights with “Toyota C-HR” illuminations, and touch-sensor door feature, it is straightforward to acknowledge you are destined to end up being noticed in various assorted ways. Similarly at home on hectic packed roads as it is on wide-open streets, C-HR Limited offers a selection of improvements to bring you extra instances of stylishness and opulence. As you are kept comfortable in the cabin via seats outfitted in leather, a warmed driver’s seat (sport bolsters built-in) you can adjust eight ways, and 3.0 Audio Plus with App Suite, the exterior necessities attention by way of a piano-black B-pillar, chrome-highlighted windows, and red rear bumper sculpting. Toyota designed the brand-new C-HR to remove any doubts that the inside was built expressly for people who are fervent about driving. A leather-cut steering wheel, satin-wrapped shift knob, dual zone automatic climate control, and cargo-expanding 60/40-split back benches work together for the optimal combination of appeal and comfort. To put it simply, every interior aspect of this crossover works toward optimizing your happiness as you drive about Westbury NY. 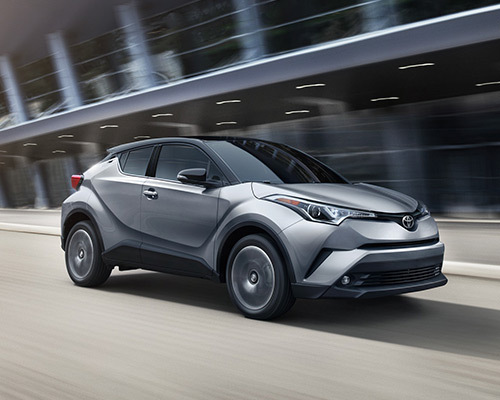 Additionally, there is a copious quantity of advanced tech features incorporated in the most recent Toyota C-HR you purchase or lease at Westbury Toyota. Look at info you want to view, including average fuel economy, on an individualized 4.2-in. TFT Multi-Information Display and unlock a wealth of applications, like the Aha Radio app (featuring 100,000+ stations) and hands-free calling on the eight-in. touchscreen system. C-HR’s auto-dimming rearview mirror also contains a full-color image of the backup monitor view. If your routine seems to never slow down, buying or leasing a C-HR guarantees you are able to keep pace. With the key fob in your bag or pocket, the Smart Key System allows you to save time by swiftly opening front doors and if you need to, the rear door. The last action of taking to the streets faster is just pressing a button to power up the engine (and de-fog the warmed, collapsible side mirrors). You will soon find out why countless buyers in Westbury NY are owning or leasing the creative C-HR shortly after your in-depth examination of this modern, top-quality crossover at Westbury Toyota.